You'd be hard-pressed to find a fine-dining restaurant in Echo Park, but that doesn't mean this Eastside neighborhood is lacking in quality cuisine. 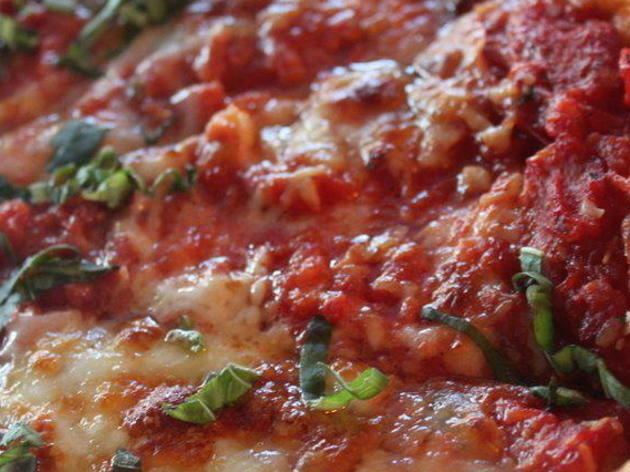 Vegan restaurants are aplenty here, along with laid-back cafes, pizzerias and Mexican eateries. 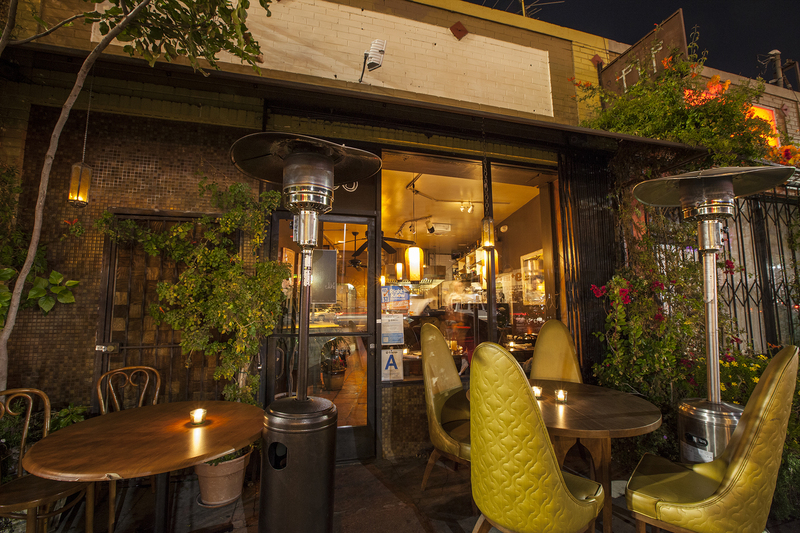 After checking out the many things to do in this nabe, head to one of our picks for the best restaurants in Echo Park. And if you're in need of a drink later in the day? We've got you covered on that, too. Homey and devoid of pretense, Ostrich Farm is a place for family but also for friends, a date or a solitary post-work drink at the bar. 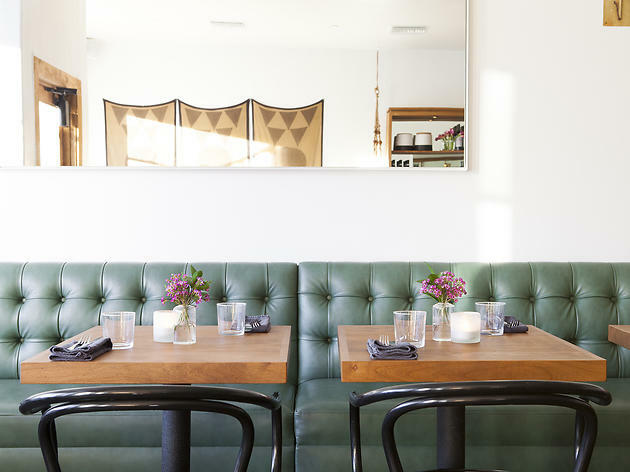 Sage green booths line one wall of the small space, across a row of stools pressed up against the bar with a few tables situated between. 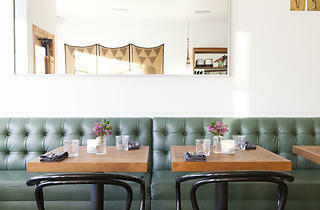 It's comfortable, a sentiment carried through to the mostly wood-grilled and roasted food. Leeks and thin discs of potato top a flatbread deluxe, along with crumbles of creamy Stilton cheese and onions that result in a luxurious iteration of pizza. Vegetables shine in every dish, but the pot pie is Ostrich Farm's indesputable winner: golden pastry envelops tender beef, shredded among carrots and parsnips and fennel. Save room for dessert, then immediately make plans to come back for brunch. 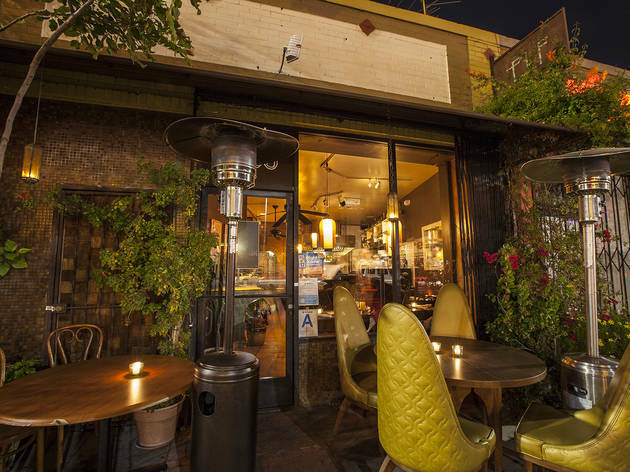 This Echo Park haunt is a date night go-to for Eastside vegetarians and omnivores alike who fall for the Middle-Eastern and Mediterranean menu that changes with the season. 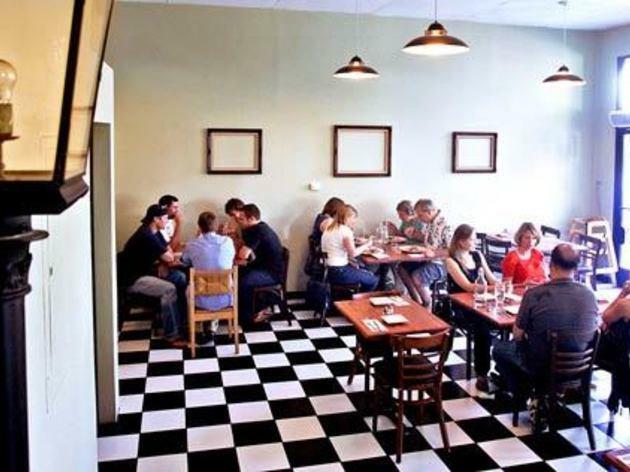 Call ahead to claim a spot at the counter or table, rubbing elbows with your date (or neighbor) inside the cozy, dimly-lit dining room. Choose from the well-curated wine and cocktail menu (you can also BYOB for a $20 corkage fee) and toast over vegetarian, vegan and gluten-free options like Moroccan vegetable tagine and walnut-pesto pappardelle. The kitchen at Elf also makes a rich, wild exotic mushroom risotto and a housemade labneh topped with date-olive tapenade—tangy, cool and ready to be scooped up with pieces of warm pita. 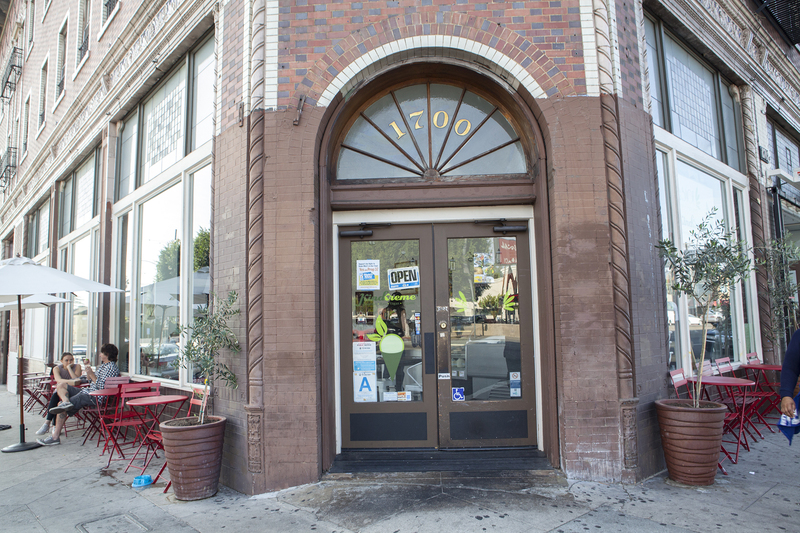 Born in Boyle Heights, Guisados now has four locations in LA, including their Echo Park taqueria. 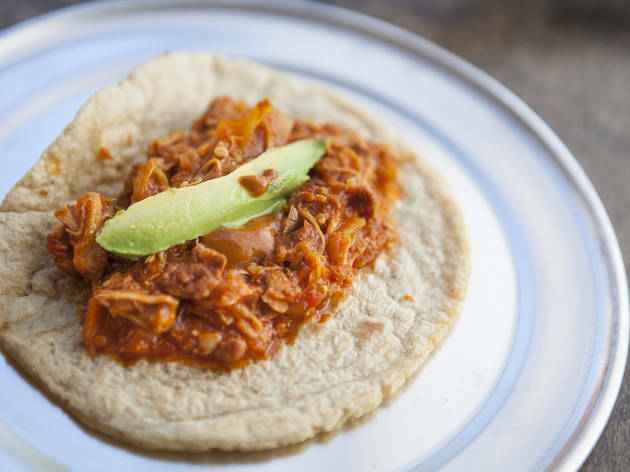 Here, handmade tortillas are made to-order and filled with signature braised meats. Snag a table on the outdoor patio or inside if it's chilly, and dig into the mouthwatering tacos—we like the moist tinga de pollo, rich and juicy mole poblano and flavorful cochinita pibil topped with spicy red onions. Wash it all down with refreshingly tart jamaica aqua fresca or creamy, spiced horchata. Can’t decide what to order? The six-taco sampler offers two-bite tastes, while spice fanatics can’t miss the chiles toreados. Imaginative and hearty, dishes at Sage feel like they’re nudging vegan cuisine in a new direction. 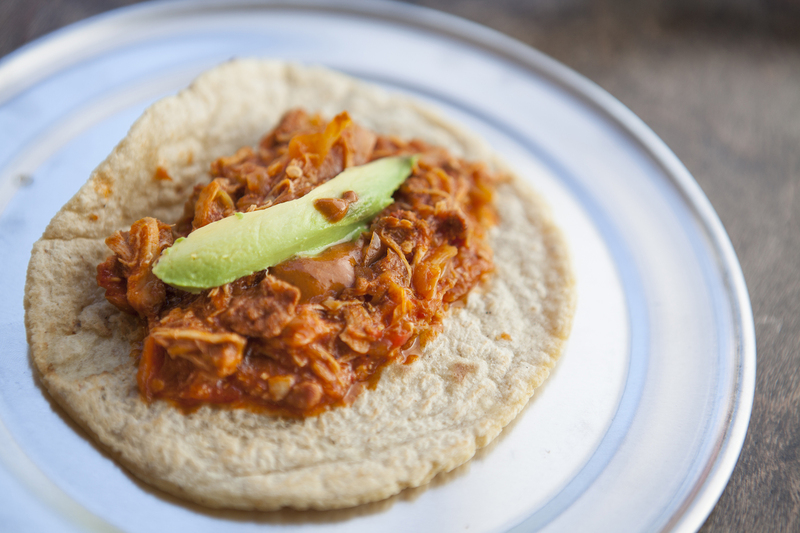 Jackfruit is employed often here—dressed up with chile in street tacos or as a tuna substitute in the "tuna" melt. Quinoa corn cakes are served with a sharp and crunchy slaw for just the right amount of zing, while the Soul Bowl is served with whole, dehydrated okra for an unexpected crunch. Another favorite: the falafel bowl, filled with basmati rice, quinoa, falafel and vegetables, topped with mango aioli and tzatziki. Finish with a scoop of Kind Kreme—cashew, almond milk and coconut–based ice cream—scooped straight from the ice cream counter. 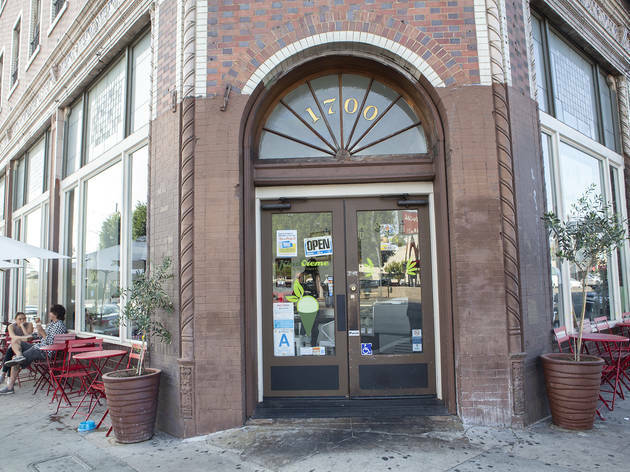 Valerie Gordon's empire includes a confections shop and a Downtown breakfast spot, along with this Echo Park bakery and cafe focused on teas. An American Tea Room–curated selection of 15 blends is available, along with herbal tea infusions. Try an orange, bay leaf and black pepper infusion paired with a curried chicken sandwich or an onion marmalade galette. Other brunch and lunch options (served after 10:30am) include sandwiches—we love the prosciutto with tangy lemon butter and pickled asparagus—and tea-infused dishes from savory (smoked salmon, avocado and Lapsan Souchong tartine) to sweet (jasmine panna cotta, matcha and Earl Grey petit fours). 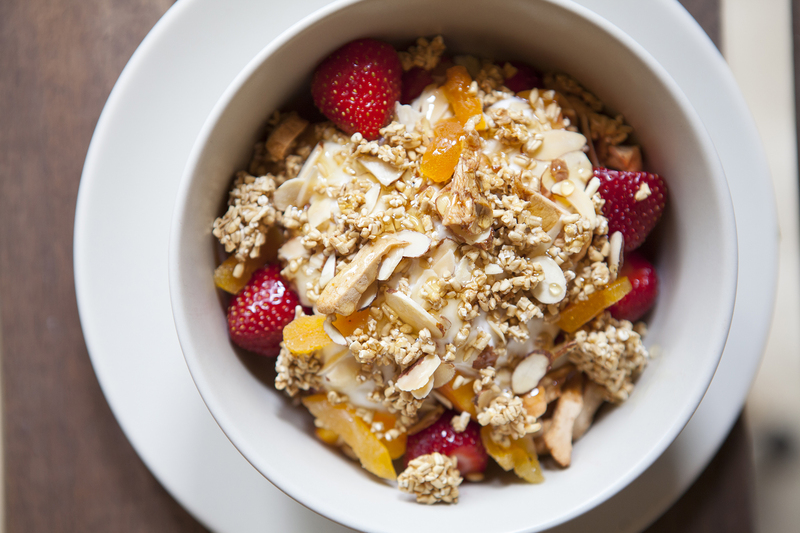 Housemade muesli—a combination of oats, almonds and dried apricots and pears over yogurt, honey and seasonal fruit—makes for the perfect morning fuel or afternoon snack. 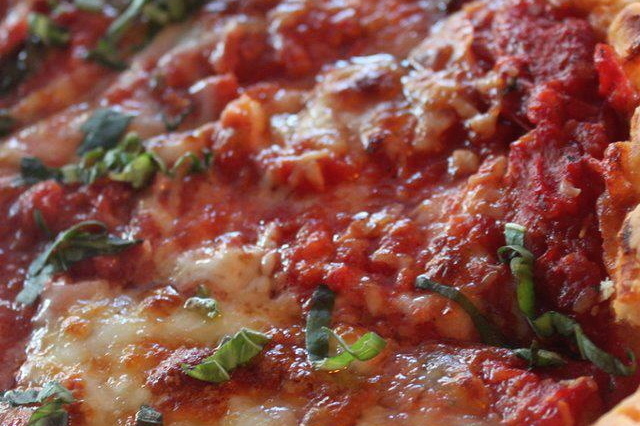 The Chicago deep dish at Masa of Echo Park is the real deal, folks. Pizzas here are made with a 2" deep pan, fresh cornmeal crust, cheesy sauces and chunky fillings, resulting in slices that are enough for a meal in and of itself. 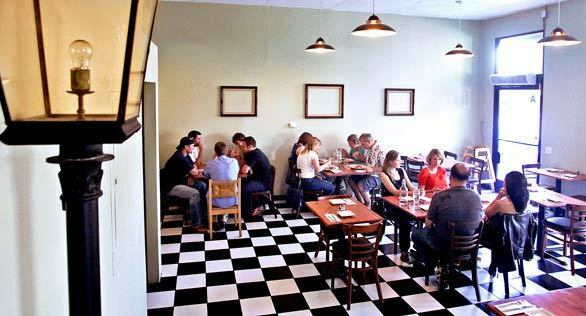 The cozy, family-owned vibe at Masa matched with an irresistible menu of classic Italian and Chicago-style edibles (vegan options, too) makes it an ideal spot for dates and group outings alike. Wash down your 'za with a bottle of pinot, and don't forget dessert—we're partial to the bread pudding. If all goes well, you'll be rolling out of here like a hunk of stuffed crust. 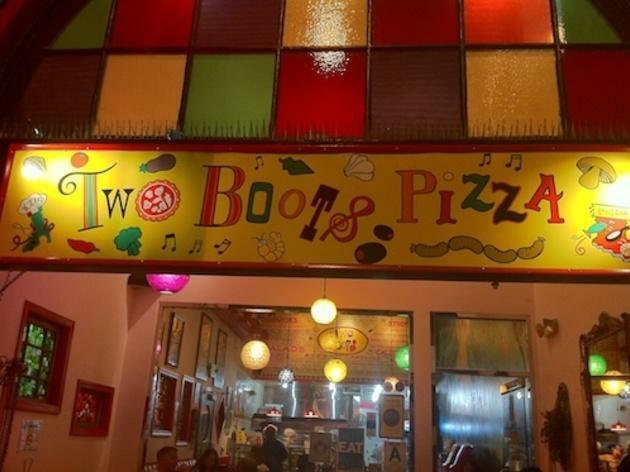 Since 1987, the Two Boots mini-chain has been serving innovative pizzas named after pop-culture figures (example: the Dude from The Big Lebowski)—offering diners a leg up at Trivial Pursuit in addition to a tasty slice. Although Two Boots began in New York, we're pretty sure it tastes better out here (if only because it lacks the competition of the east coast pies). On a budget? Stop by in the afternoon for the after-school special: a cheese slice and small soda for $2.50. 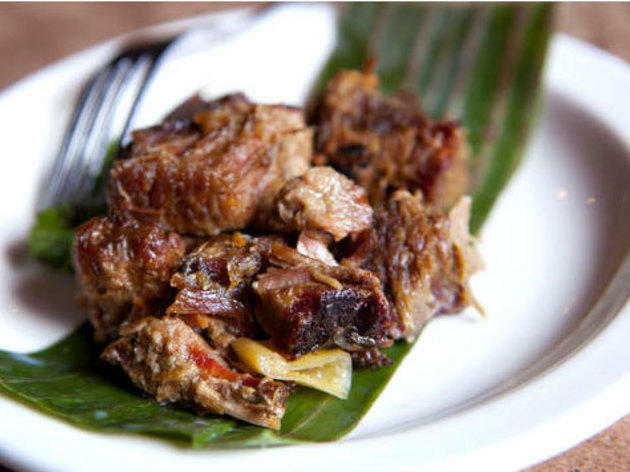 Run by the Concordia family, who have been mastering the art of BBQ for generations, The Parks Finest spices up traditional American cuts with Filipino flavor. Known for their "50% mom, 50% pop, 100% LA" mantra, this one of a kind BBQ restuarant has grown from a small catering company that started in 2009 to a popular eatery near Downtown LA. 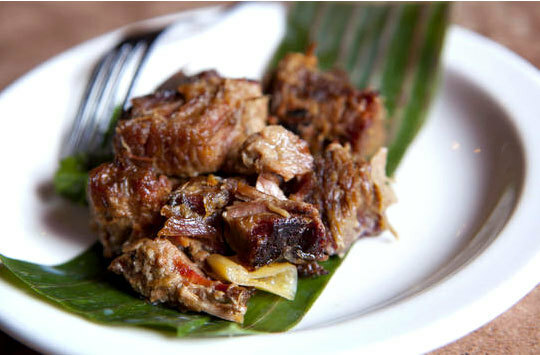 On the menu you'll find San Pablo pulled pork that's been roasting for 16 hours, Mama Leah's sweet coconut beef, and Ann's cornbread bibingka—cornbread baked in a banana leaf. Stop by for discounted pints and pulutan (snack food) from 3-6pm daily. 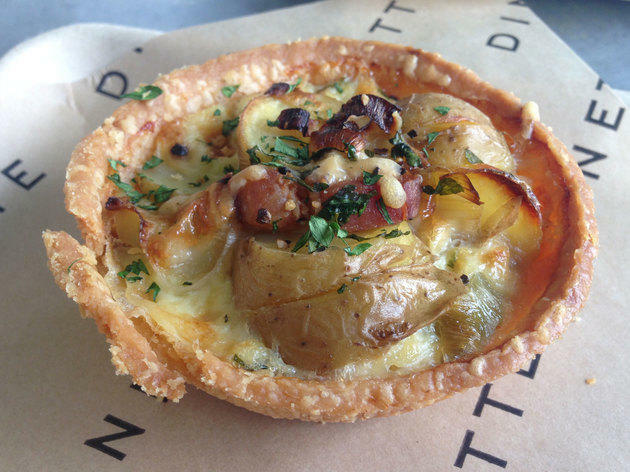 Dinette is a petite cafe from Cafe Stella's Gareth Kanter, where you order from a counter after perusing cake stands filled with quiches, tarts and cookies, all separated by a sleek glass window. There is no indoor seating area, only scattered chairs and tables in a small alcove bound by plants and the sidewalk lining Sunset Boulevard. 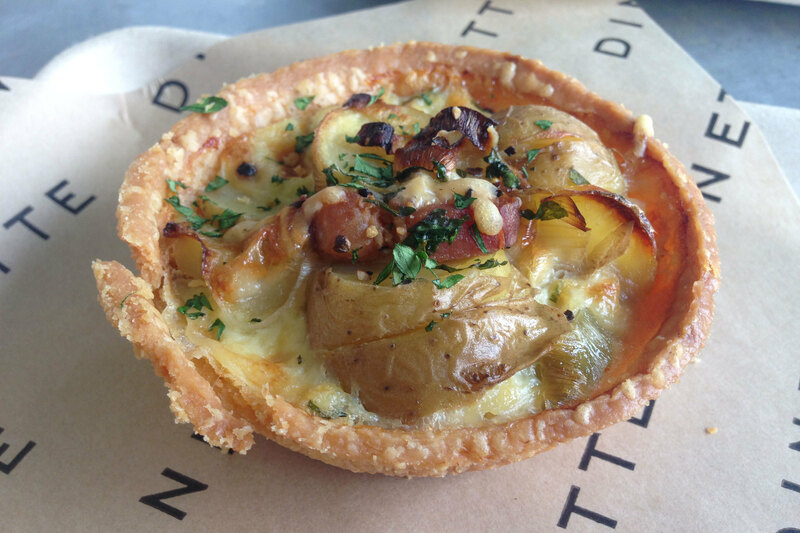 The potato, leek and bacon tart is crisp and savory (the crust is excellent), an ideal morning snack with a cup of coffee. There's an avocado toast, of course, because this is LA. 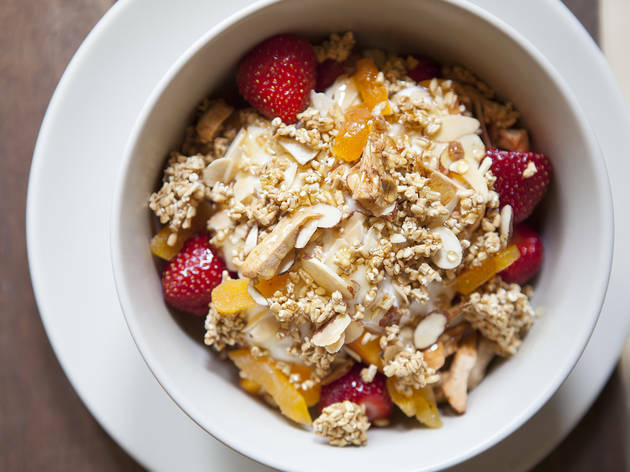 A farro salad, with its sweet clusters of raisins and almonds, is tossed in a complex vinaigrette, and pastries upon pastries are drooled over by residents of a quickly changing neighborhood. This cozy bistro is where locals go for lunch, dinner and weekend brunch. 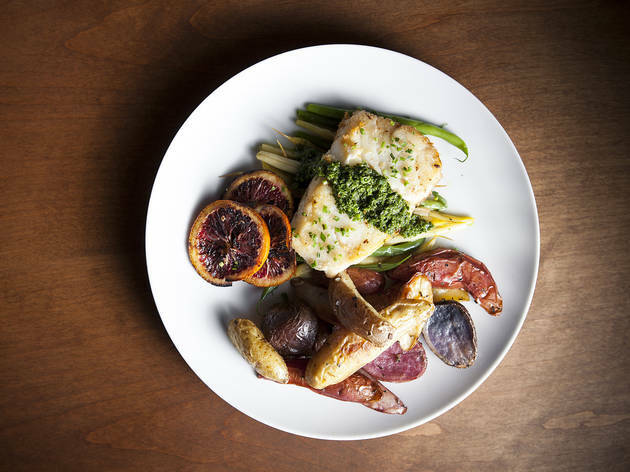 The menu offers some eclectic items, such as Szechuan fried calamari and cauliflower cakes, along with staples that include roast chicken and spaghetti and meatballs. Browse the beer and wine list for a good selection of reds and whites by the glass, as well as tasty craft beers. Wednesday is the popular half-price burger night, so come early since it gets a bit crowded.